Click on the image and feel the magic. 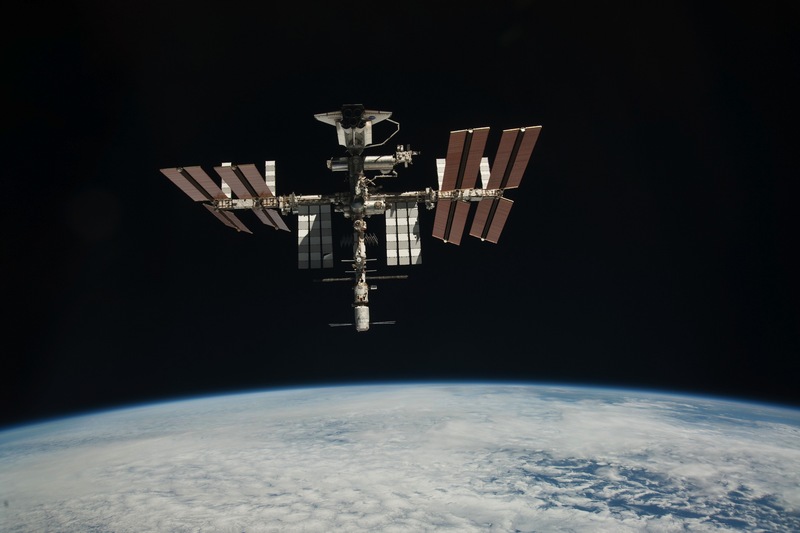 The International Space Station (ISS) with Endeavour (STS-135) docked. 16 SSEP Experiments are aboard. ISS dwarfs Endeavour. THE NATIONAL CENTER FOR EARTH AND SPACE SCIENCE EDUCATION (NCESSE) ANNOUNCES AN IMMEDIATE AND HISTORIC OPPORTUNITY FOR COMMUNITIES ACROSS THE U.S. TO PARTICIPATE IN THE FIRST STUDENT SPACEFLIGHT EXPERIMENTS PROGRAM (SSEP) MISSION TO AMERICA’S NATIONAL LABORATORY IN SPACE—THE INTERNATIONAL SPACE STATION (ISS). THE PROGRAM IS ALSO OPEN TO ISS PARTNER NATIONS. SSEP is a keystone Science, Technology, Engineering, and Mathematics (STEM) Education program launched as a U.S. National initiative in June 2010. More broadly, SSEP is about a commitment to student ownership in exploration, to science as journey, and to the joys of learning. For school districts—even individual schools—it provides an opportunity to implement a systemic, high caliber, and historic STEM education program that is tailored to a community’s strategic needs in STEM education. This past year has been a humbling experience for me, the staff of the National Center for Earth and Space Science Education and the thousands of students and teachers in the 27 communities participating in the Student Spaceflight Experiments Program (SSEP). Enabled by a Space Act Agreement between NASA and NanoRacks, LLC, we’ve all had the adventure of a lifetime. We’ve had the distinct honor of being part of history, and part of the 30 year legacy of the United States Space Shuttle program. The Space Shuttle, and the National Aeronautics and Space Administration—both national treasures—stand for what is a fundamental regarding the nature of our existence—our need to know, to question, to push the boundaries of what is familiar, and to broaden our understanding of ourselves. Anyone witnessing the final Shuttle launch on July 8 at Kennedy Space Center (I was lucky enough) could not help but be overwhelmed by what we have done as a nation of spacefarers, and realize that the dawn of a new era is at hand. To all those that are participating in SSEP, you need to know that you are helping to blaze a trail into that new era, and there has been no bigger supporter of your achievements than NASA. With the 27 experiments aboard Endeavour and Atlantis, selected from over 1,000 student team proposals, you, the next generation, are the link between a celebrated past and a future in space exploration that is only now being written. And this remarkable journey we’ve been on together? It has really been about celebrating the past, embracing the present, and inspiring the future. Isn’t that what learning and exploration are all about? Photo Caption: Space Shuttle Atlantis at NASA’s Kennedy Space Center in Florida after arriving at Pad 39A on April 21, 2010, in preparation for flight STS-132. Click on the image to see Atlantis up close and personal. This is a Teachable Moments in the News QuickLinks Post. It connects a news story with this Blog’s existing powerful library of Posts and Resource Pages. The cited Posts and Pages provide a deep understanding of concepts in the earth and space sciences relevant to the news story. Teachers—the Posts and Pages are also designed for use as lessons, allowing you to easily bring current science into the classroom as a teachable moment. Each cited Post is outlined in the Teachers Lesson Planner, which includes the Post’s essential questions, concepts, objectives, and math skills. This is it. The moment when the reality of loss truly begins to sink in. There are three flights of the space shuttle left, one for each of the remaining orbiters—Atlantis, Discovery, and Endeavour. Currently scheduled for launch Friday, May 14, at 2:20 pm EDT, it is Atlantis’ time to soar one last time. I will be posting these Teachable Moments for each of the remaining flights in the hope that parents and teachers will be able to tune in with our children, and savor the end of an era before the fleet is retired for museum display, forever standing in silent testimony to a remarkable human achievement of days gone by. Below are previous posts at Blog on the Universe that powerfully address the science, history, and politics of human spaceflight—and can be used to help make the flight of Atlantis a Teachable Moment. You might start with my February 6, 2010 post Shuttle Endeavour About to Blast Off on its Second to Last Mission, where I imagine what it will be like as the era of the Space Shuttle fades into history along with Mercury, Gemini, and Apollo. It’s a powerful lesson for students not realizing they are living through a moment in history. Oh No! NASA’s LCROSS Is Going to Hit the Moon! Run! This is a supplement to my earlier post NASA LCROSS to Slam into Moon October 9, 2009. This is crossposted at the Huffington Post HERE. We’re slamming this thing into the Moon?! Hasn’t anybody thought this through?! The Moon’s going to be forced from its orbit! Giant tides will wash around the Earth! Buildings will topple! The Man in the Moon will be mad at us! Do we really need another catastrophe?! There’s an exciting event scheduled on the Moon, and you’re invited. The NASA LCROSS spacecraft and it’s Atlas V Centaur upper stage rocket will slam into the lunar South Pole on October 9 at 4:30 am PDT. It is going to be a BIG news story AND IT SHOULD BE VISIBLE TO YOU if you’re west of the Mississippi (in the U.S.) AND you can hook up with an amateur astronomer with a good-sized (recommended 10-12-inch aperture) telescope. Sounds like a good motivation for an impact party to me. There is a Blog on the Universe Post—If I Could Gift Wrap the Moon—that is perfect for a thought-provoking, conceptually hard-hitting classroom discussion about the size of the Moon and its relationship to Earth in advance of (even after) the LCROSS impact. It includes simple and quite elegant hands-on activities. Flyby 3 may be over, but MESSENGER’s mission continues. Bookmark this page for MESSENGER updates. Also note you can always access this page from the Teachable Moments in the News Quick Links box in the upper right column of this Blog, which includes the date of the latest update. Teachers—place the mission in the greater context of human exploration, and exploration of the Solar System, using this Blog’s MESSENGER Ideas for Lessons in the Classroom, and Educational Resources page. This post is a Teachable Moment in the News. Photo Caption (click on image for zoom): Image taken September 29, 2009, by the MESSENGER spacecraft’s Narrow Angle Camera,15,400 km (9,600 miles) above the planet’s surface. The double-ring impact basin is approximately 100 miles (160 km) in diameter, with another large impact crater on its south-southwestern side. The image and caption was prepared by MESSENGER Educator Fellows Christina Dorr (Hilliard City School District, Hilliard, OH) and Julie Taylor (Adelanto School District, Adelanto, CA), at the MESSENGER Science Operations Center. The September 2009 MESSENGER Special Post at Blog on the Universe, with live Web 2.0 coverage of the spacecraft’s third flyby of Mercury on September 29, generated significant interest in the NASA MESSENGER mission. Teachers and their classes were following along and posing questions to the six Voices of Mission Control via Twitter and email. I’ve created this page to provide ongoing MESSENGER mission updates through the date of orbital insertion on March 18, 2011. Below you will find the Updates Archive. Also below are Blue Titled sections that provide an overview of the tense time in Mission Control when the signal from the spacecraft was unexpectedly lost during close approach on September 29, and a Twitter archive for the Voices of Mission Control—captured live during the flyby—so you can relive the experience. NEWS: For continued coverage of the MESSENGER mission through orbital insertion on March 18, 2011, please visit the MESSENGER Updates page on this blog. Photo caption: Part of Mercury’s never before seen surface, from MESSENGER spacecraft data obtained during the first flyby on January 14, 2008. Read the story behind this image. You want to see spectacular? Click on the image. Credit: NASA/JHUAPL/Arizona State University, 2008. Every so often an upcoming event is compelling enough for me to put up a dedicated Special Post at Blog on the Universe. A good example is the Apollo 11 40th anniversary. Given my involvement for the last 10 years with the MESSENGER mission, I decided the upcoming encounter deserved a Special Post. The goal is to help facilitate public engagement with the event, and point followers of this Blog to the official web sites and relevant resources. I have also provided my own thoughts on MESSENGER. This post is a Teachable Moment in the News. It is a historic mission to another world. It marks a dramatic end to the human race’s initial reconnaissance of the eight planets of our Solar System, and the beginning of detailed study of Mercury. On September 29, 2009, at 5:55 pm EDT, the MESSENGER spacecraft will conduct the last of three flybys of the planet. Each flyby is gravitationally modifying the spacecraft’s orbit around the Sun to ready it for orbital insertion around Mercury on March 18, 2011. On September 29 through October 1, live Web 2.0 coverage from mission control at the Applied Physics Laboratory in Columbia, Maryland, will allow teachers, their students, and the public to experience this mission milestone, and through social networks … ACTIVELY PARTICIPATE in this great adventure. There will be 7 Voices of Mission Control—MESSENGER Educator Fellows and MESSENGER Education Team members—covering the flyby in real time on Twitter and Facebook. They will be able to interact with all of you through engaging conversations, and will answer your questions. Four MESSENGER Mission Scientists will be teaming with the Voices of Mission Control throughout the live coverage. Our goal is to capture the experiences and excitement of the events as they unfold, and to tell this very human story of exploration. We want to help inspire the next generation of scientists and engineers, and promote scientists and engineers as heroes and role models to our children. We want to help teachers engage their students with a behind-the-scenes look at REAL science and engineering, and in this very moment of history. At this Special Post, I’ve also put together a sub-page that can serve as a one-stop-shop for information on MESSENGER and the science objectives for the flyby, and lists of activities, lessons, and educational resources. It’s meant to help you place the live coverage within a broader, richer science education experience that grows from National Science Education Standards, and offers deep curricular connections in the earth and space sciences. The idea is to inspire …then educate. The historic event provides the inspiration, and the resources leverage discussions on the nature of exploration, the nature of the Solar System, and MESSENGER and its mission at Mercury. Isn’t this precisely the curricular landscape in which MESSENGER resides? This post is a Dr. Jeff Speaks Out and a Teachable Moment in the News. The blue-ribbon panel tasked by the White House with reviewing NASA’s current strategic plans for human space flight, and exploring other options, wraps up deliberations this week. 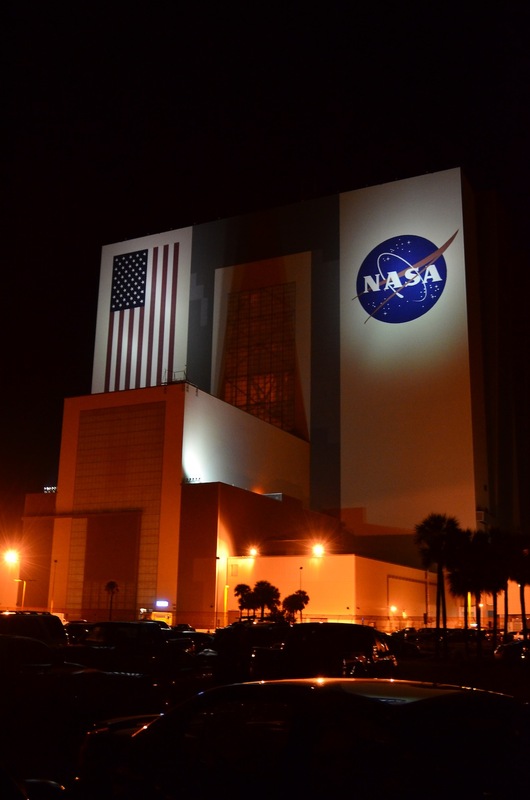 They’ve been at it just 2 months, and this Friday (August 14) Norman Augustine, the panel’s chair, presents the list of options to new NASA Administrator Charlie Bolden and WH science and technology advisor John Holdren. I thought I’d weigh in. Astronaut Edwin E. Aldrin Jr., lunar module pilot, is about to become the second human being to walk on the Moon. This picture was taken by Astronaut Neil A. Armstrong, Apollo 11 commander, July 20, 1969. July 20th is coming. I’m waiting for the emotions to wash over me again. It will be the 40th anniversary of the first human footprints on another world, and I lived it. I remember it so vividly. It was July 16, 1969. At Kennedy Space Center in Florida, Apollo 11—a rocket as tall as a 36-story building—blasted off with Neil Armstrong, Buzz Aldrin, and Michael Collins aboard. The command module Columbia—with barely enough room for the three crew seats—was their home for the 3-day trip to the Moon, and by July 19th they were in orbit.